Aotea harbour entrance, looking over Potahi Point and Potoorangi Bay towards Maukutea Beach, Aotea and Pourewa Point. Mt Pirongia behind. 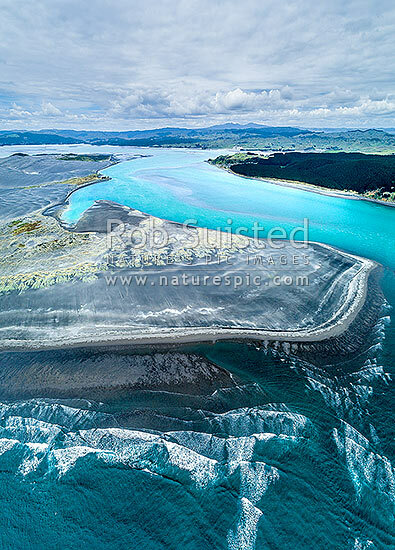 Aerial view, Aotea, Otorohanga District, Waikato Region, New Zealand (NZ), stock photo.